Reflexology is an alternative medicine involving application of pressure to the feet and hands with specific thumb, finger, and hand techniques without the use of oil or lotion. It is based on a system of zones and reflex areas that reflect an image of the body on the feet and hands, with the premise that such work effects a physical change to the body. The general purpose of ‘reflex zone therapy’ (a.k.a. reflexology) is to ‘balance’ the nervous system. Reflexologists usually use an approach where the body is divided into ten equal vertical zones: five zones on the right side of the body + five zones on the left side of the body (e.g. the first zone corresponds with the thumb in the hand and the big toe in the foot). This vertical approach goes parallel to Chinese philosophy of the meridians & the medical so-called ‘dermatomes’ (= areas of skin that are mainly supplied by a single spinal nerve); However, there is no direct connection between the 10 vertical reflex zones and 12 meridians, nor do these concepts directly relate to the physical nerve system. This implicates that in general hand reflexology & foot reflexology can be recognized to represent massage techniques that are quite similar to the reflex points & techniques used in acupressure (and the philosophy behind acupuncture). The word reflexology is derived from the so-called ‘reflex arc’, which refers to a neural pathway that controls an action reflex. 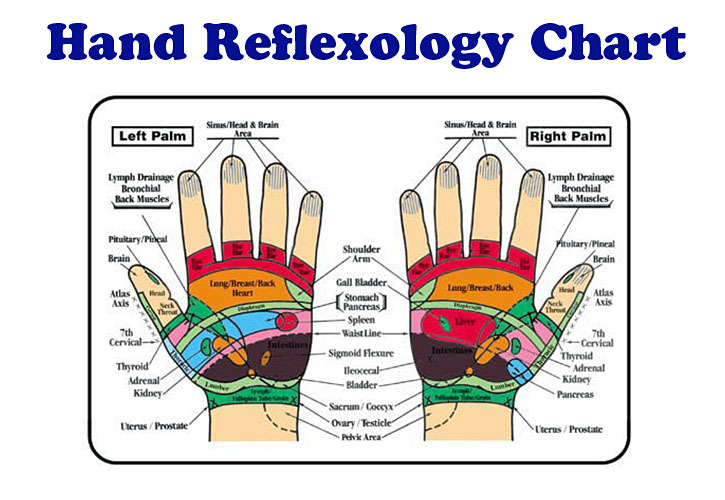 Formally, there are two types of reflex arc: ‘autonomic reflex arc’ (affecting inner organs) and ‘somatic reflex arc’ (affecting muscles); reflexology can be associated with the first type. This implicates that (hand) reflexology should not be associated with casual uses of the terms: ‘reflex’, ‘hand reflex’ and ‘primitive reflexes‘.